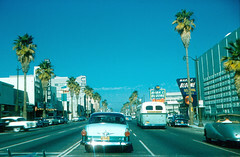 Wilshire Boulevard in Los Angeles. It must look like a different world now. 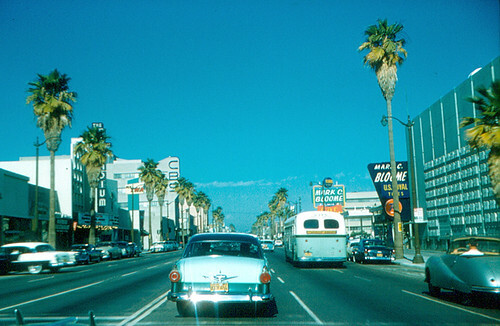 Then it was an ordinary street, though wide and lined with palm trees. CBS on one side, and a tire store across the street. Where are all the cars? The location is approximate.